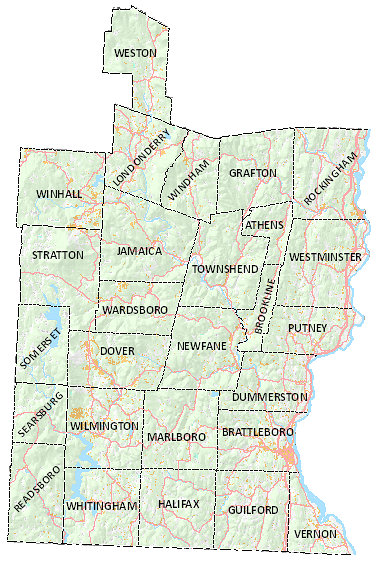 Windham Regional Commission serves 27 towns in Southeastern Vermont, twenty-three of which are in Windham County, three are in Bennington County, and one is in Windsor County. One town, Somerset, is unincorporated. Each town may appoint two commissioners to serve on the Commission. The WRC is providing general planning information about our towns as a service to the public. This information should in no way replace official information obtained directly from the towns.